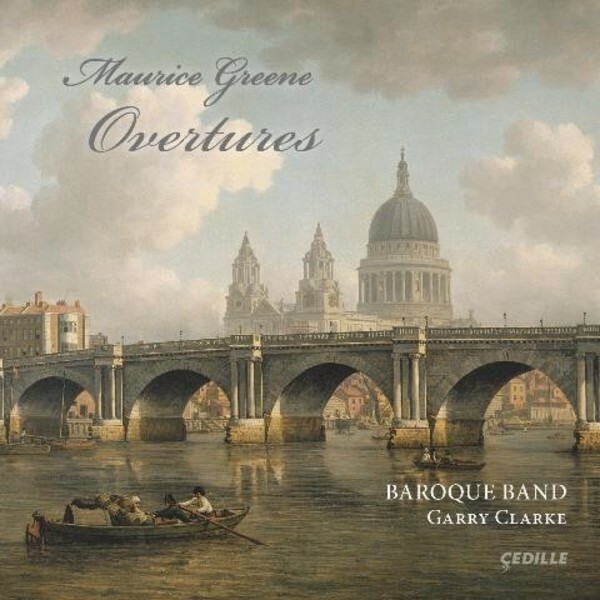 British-born Baroque violinist and conductor Garry Clarke and his Baroque Band, Chicago’s period-instrument orchestra, highlight unfamiliar and thoroughly enjoyable orchestral overtures by 18th-century English composer Maurice Greene, who is otherwise best-remembered for his choral music. Selections from Greene’s 'Lessons for the Harpsichord', performed by ensemble member (and long-time Cedille solo keyboard artist) David Schrader, offer similar pleasures. Baroque Band made its Cedille label debut with 'Biber: Mensa Sonora'. Strings magazine said, “The players are excellent”. The Toronto Star described the interpretations as “extra-rich and satisfying.” Classical Candor called the ensemble “a welcome addition to America's elite period-instruments crowd”.